In this series of posts we’ll examine different ways of transporting water on a bicycle and focus on the solutions we plan to implement during our global cycling expedition. This is the 3rd of 3 posts. 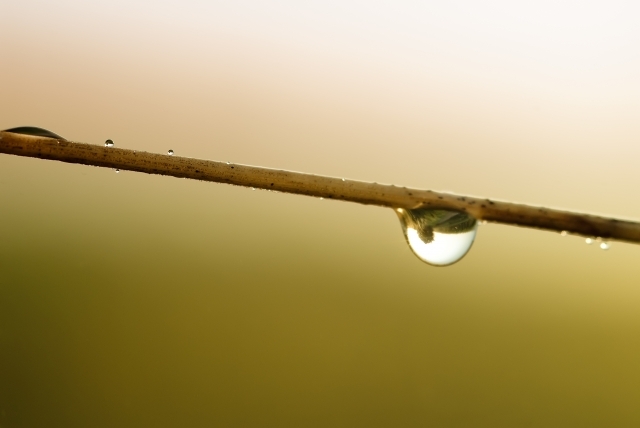 Beyond having water readily available and within reach while riding, we also have to plan for extended periods of time in which we may not have daily access to water. We’ll need larger capacity storage containers that we can fill with water when it’s available and carry with us till we reach another water source. 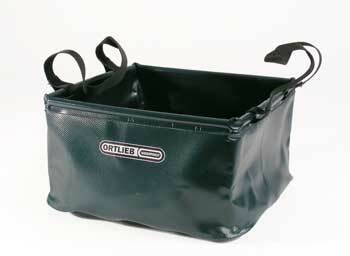 For those cases we’ve decided to use Ortlieb’s Water Bag. 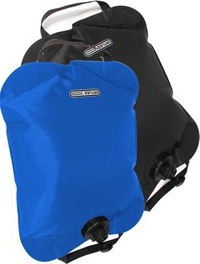 Purchasing two 10 L bags, one blue and one black, our plan is to use the blue bag to store potable water and the black bag to store water for general washing, bathing or doing laundry. When not full of water, the bags are lightweight and fold well, making for easy packing. In addition to the metering valve (with dust cover) that came with the bags we also ordered a shower valve to use for “wild showering”. I imagine this valve coming in handy for dish washing as well – if we hang the bag off a tree or our bikes and above our washing bowl, we could open the valve, as needed, to get fresh water for rinsing. 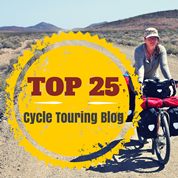 The bags will probably be thrown over our gear on the back of our bikes or possibly hung off the rack somehow. As we creep closer to the launch date we’ll start playing around with packing and placement of everything on the bikes and will be able to test our theories on fully loaded bikes. If there are any seasoned cyclists out there reading this, that have experience carrying the Ortlieb Water Bags, by all means, please share any advice you have for us! Another lightweight, easily packable traveling companion is the Ortblieb Folding Bowl. We opted for the 10 L green bowl and expect it to come in handy for gathering water, acting as a shopping bag when we visit food markets, and for washing dishes, food and/or clothing. Heavy duty straps allow for easy handling and transport when the bowl is full. The usefulness of this item will most likely be tested on a daily basis so we’ll be sure to keep you posted on how it fares over time. 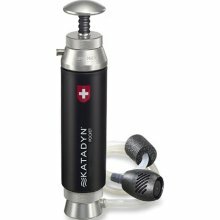 The Pocket Filter by Katadyn was the obvious water filtration system for us since we’re planning on buying as little bottled water as possible, which means we’ll be using it A LOT. Made in Switzerland, this aluminum housed ceramic filter provides up to 13,000 gallons of filtration, is easy to clean and comes with a lifetime warranty. Trusted and highly recommended by many, the Pocket Filter is expedition ready and can be used with practically any container. The filter removes all giardia, fungi, parasites, cholera, typhoid, cryptosporidia, salmonella and other harmful bacteria, parasites, and germs. The package includes an input hose (40″) with acorn pre-filter and float, output hose with spring clip to clip onto bottles, hydration pack adaptor, a Scotch Brite cleaning pad, a measuring gauge, silicone lubricant, fabric bag and plastic zip lock bag for output hose.